Corsa 1.poo, Ibiza 1.9tdi fr, Mk1 MX5, Mini cooper S.
Current car 2.0 TDI R-line Black edition. Picking up the VW as something sensible (and not a Saab) for the commute is going to be a lifesaver and it should be relatively decent when the road does open up. Last edited by Addymk2 on Wed Jan 25, 2017 11:31 pm, edited 1 time in total. 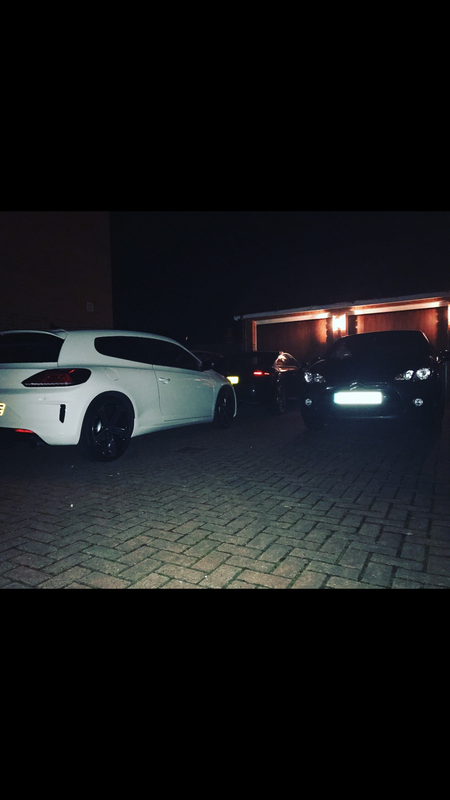 I kept it for 2 out of 3 years because I returned it early when I bought myself a 21st birthday present (3months early) so now I've got the Facelift Scirocco R after dreaming about it for 2 years!! 2003 Ford Focus 1.8 TDCI, needed a diesel and didn't want to buy my mods all over again so took all the mods off the 1.6 that i could. 2000 Peugeot 307 2.0hdi divorce settlement!! Only one - a 2002 Vauxhall Astra 'Club' for 5 years, then the Roc. I've had many BMW's on lease, 118d, 120d, 118d again, 320d and a 220d. Had a Mk7 Fiesta ST Mountune from new for just over 2 years and then got my lovely White facelift R, been 6 months nearly and the time had flown in, the thing makes me smile every time my foot feathers the throttle! Absolutely loved the 135i which was remapped to about 380bhp but the arrival of our little man meant it got changed for a qashqai. Short list, however i'm only 22 so not a massive amount of time on the roads.